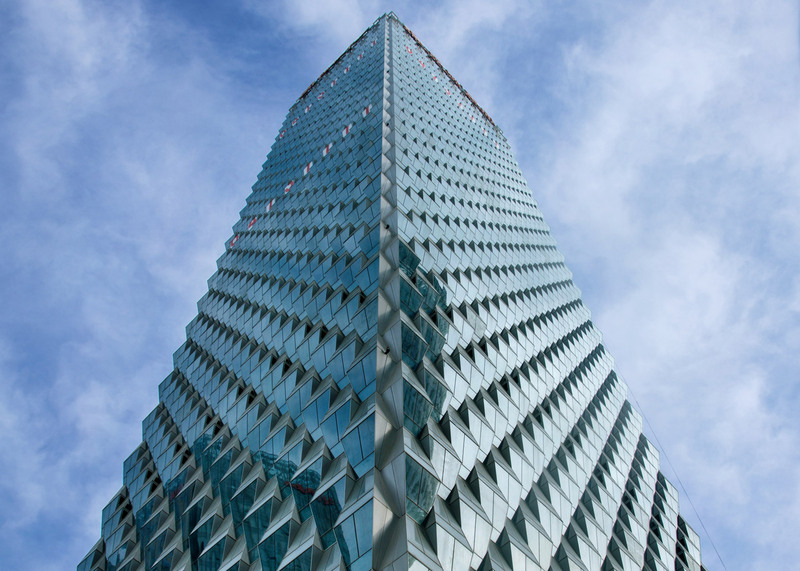 Skidmore, Owings & Merrill has completed a 55-storey tower in Beijing with exterior glass panels that function as prisms, capturing and refracting daylight (+ slideshow). 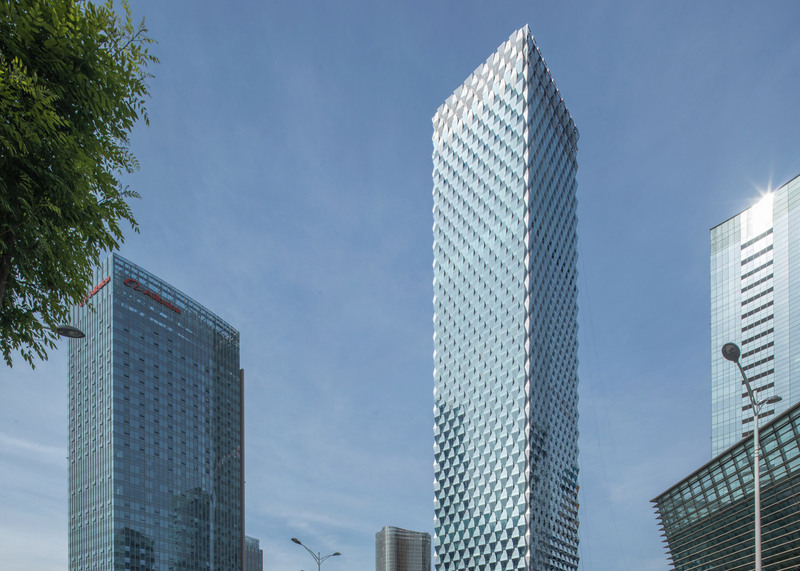 The mixed-use tower, called the Beijing Greenland Center, is located in the Dawangjing business district and sits halfway between the city's historic core and international airport. Rectangular in plan, the skyscraper contains four floors of office space and 178 serviced apartments, all organised around a central core. 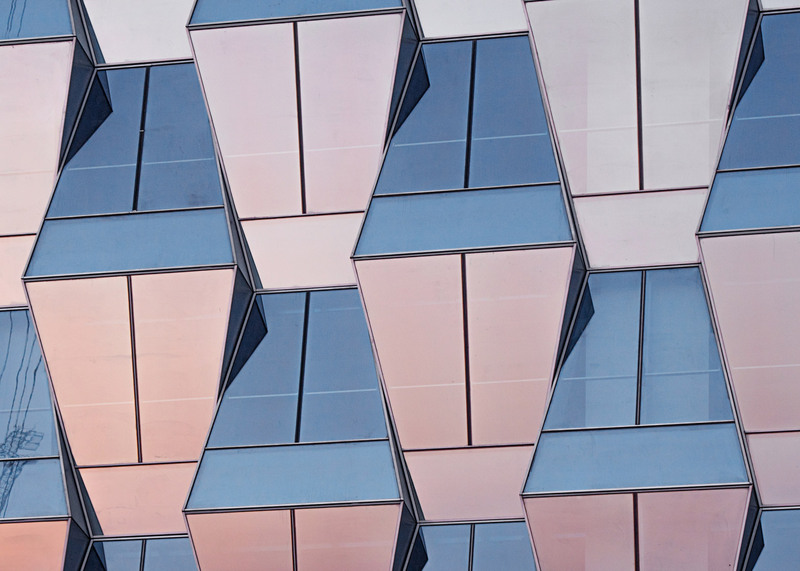 Rising 260 metres, the tower is sheathed in a curtain wall consisting of low-E glass panels that are configured in a way that provides shade and redirects sunlight. "The tower's striking facade pattern is informed by the bas relief carving technique," said SOM, a global firm founded in 1936. "Isosceles trapezoidal modules function as prisms, catching daylight and refracting it to create an interplay of light and shadow." Two different trapezoidal modules were used, with one tapering upward and the other tapering downward. The modules alternate in a regular pattern on all sides of the building. The tower is designed to consume 30 per cent less energy and water compared to a baseline building. In addition to the shade-providing skin, the skyscraper's sustainable elements include a heat reclaim wheel, variable speed pumps for heating and cooling, and a water-side economiser to utilise evaporative cooling. 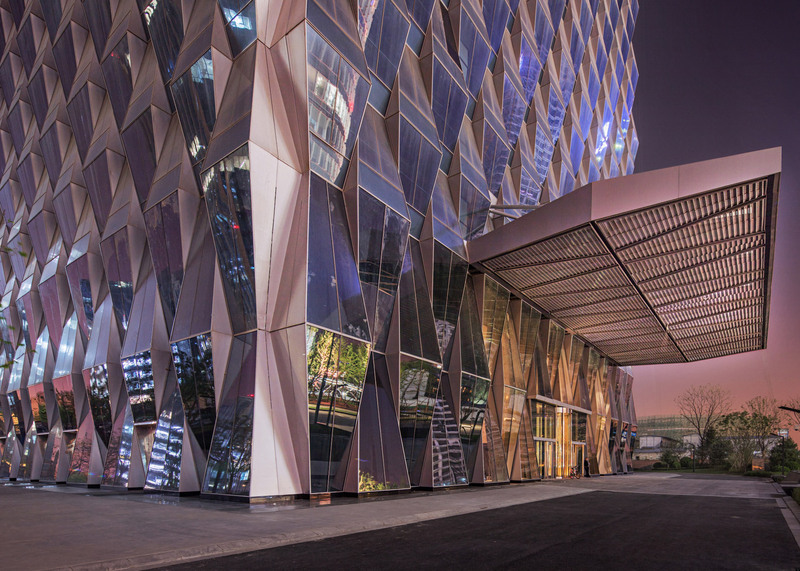 "Addressing a need for environmentally responsible, mixed-use urban development, Beijing Greenland Center is a highly visible example of how visually striking design can also be highly flexible and sustainable," the firm said. 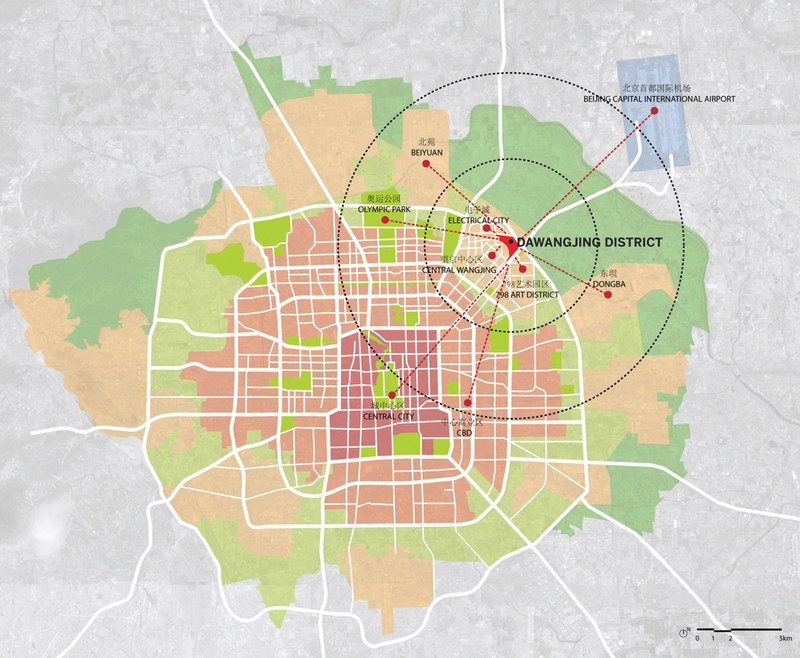 Beijing Dawangjing is a new district on the city's northeast side that was masterplanned by SOM. It was conceived as a "walkable, green district that prioritises quality of life and responsible use of natural resources". 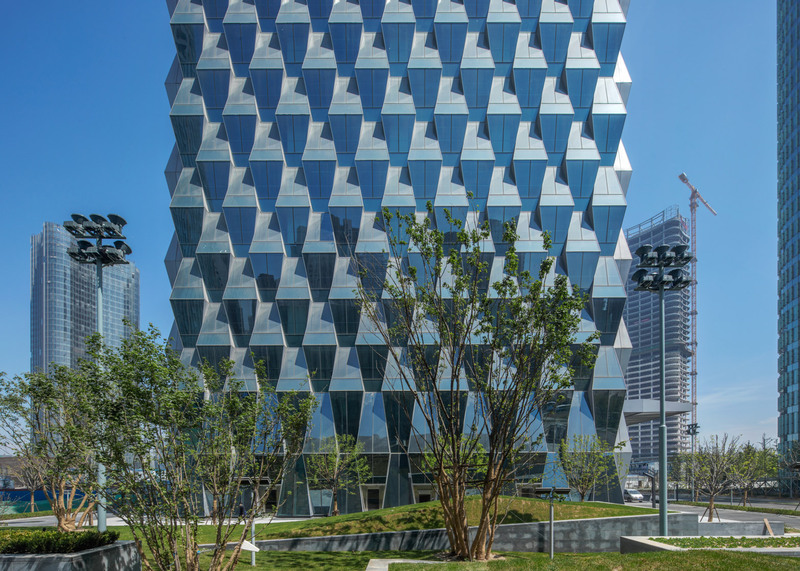 SOM has designed other structures in the neighbourhood, such as a trio of curved buildings called Poly International Plaza that is slated to be completed this year. 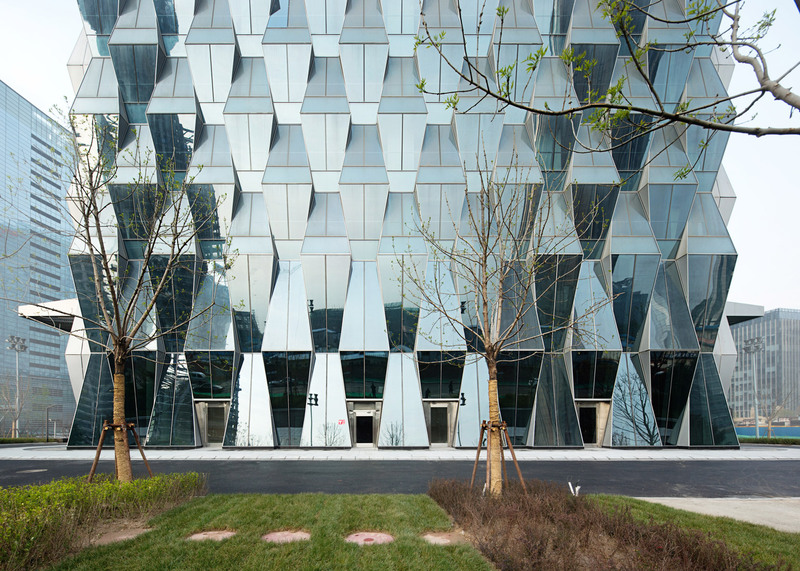 Other recent projects in Beijing include a housing complex with sculptural stone walls by UNStudio and a shopping centre with a pearlescent facade by Dutch firm MVRDV.